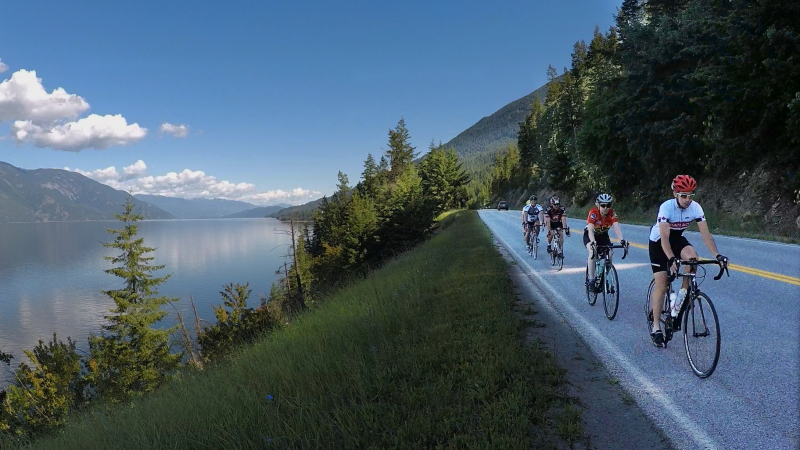 CRESTON, BRITISH COLUMBIA / TheNewswire / April 9, 2019 - Cyclists will enjoy pristine mountain and lakeside views as they complete their disciplines in the first-ever Kootenay Lake Gran Fondo cycling event scheduled for September 21. 'Gran Fondo' is Italian for "the big ride." A mere six miles from the border with Idaho, Creston is a vibrant community of more than 5000 and an increasingly popular travel destination, offering a range of new and established restaurants, wineries, and arts and music venues. It is also one of the world's premiere cherry growing and export regions. Competitive cyclists looking for a new challenge will appreciate the aggregate elevation gain of more than 1500 meters over a 151 km (94 mile) Kootenay Lake Gran Fondo route that includes a combination of mountain switchbacks, stunning lake shoreline and agricultural valley. Riders of the 97 km (61 mile) Medio and 56 km (35 mile) Piccolo routes will also enjoy the southern end of Kootenay Lake, as well as Canyon-Lister lush valley vistas. "There really is something for everyone in this event, and not just in the ride itself," says Gran Fondo organizing co-chair and Creston Valley Chamber of Commerce Manager Vern Gorham. 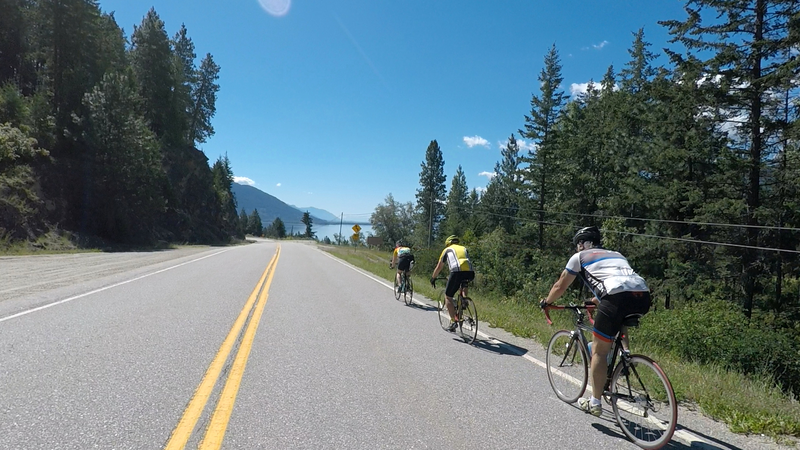 "In addition to the incomparable scenery of the Kootenay Lake shoreline that all riders will experience, kids and spouses will have the option of riding less challenging routes or just enjoying the many street fair events we have planned that weekend." Riders can register by accessing the main event website at www.kootenaylakegranfondo.com and clicking on REGISTER, or by accessing https://ccnbikes.com/#!/events/kootenay-lake-gran-fondo. Ride maps, downloadable photographs and videos of portions of each route are also available on the main event website. Super Early Bird registration ends May 31. Organized in partnership with the Rotary club of Creston, the town's main street will become an all-day street festival, with food trucks, arts and crafts, and activities for kids. Three of Creston's commercial wineries - Baillie-Grohman Estate Winery, Skimmerhorn Winery and Wynnwood Cellars - will offer special tours and tasting events. The 2019 Kootenay Lake Gran Fondo is sponsored by Re/Max. Event apparel and a Friday kick-off event featuring free music and cultural events is in planning by Legend Logos, a First Nations gift shop and cultural site located on Highway 21 just north of the Idaho border.